Barclay Brook Village new construction townhomes in Middlesex County, NJ infuse daily living with comfort and distinction. 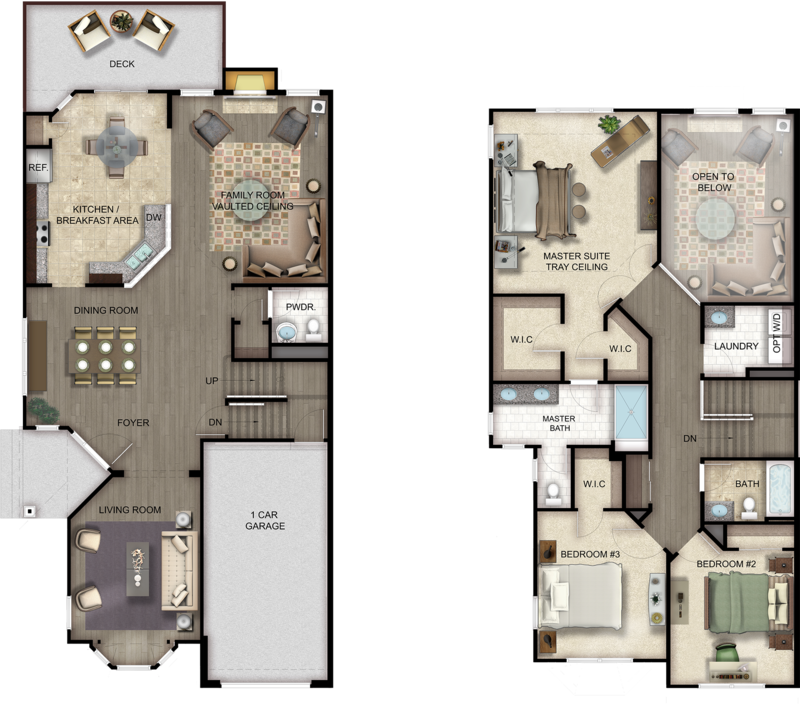 These gorgeous three- and four-bedroom new townhomes for sale in Old Bridge, NJ are loaded with luxury options standard. One step into the foyer reveals a breathtaking, open plan with a living room; gourmet, eat-in kitchen; and dining room that can accommodate both daily living and entertaining with grace and ease. Sliding doors in the breakfast area open to a private deck, the perfect place to take in the wooded natural surroundings. The two-story gathering room is a social and visual focal point that beckons with its soaring ceiling and direct-vent gas fireplace. Upstairs, the master suite is an expansive retreat with its exquisite bathroom and dual walk-in closets - privately removed from the 2-3 secondary bedrooms and 1-1/2 additional baths. Complementing its seclusion, life at Barclay Brook Village in Old Bridge is designed to be efficient and convenient, from the 2-zone high efficiency heating and central air conditioning, one-car garage and full, unfinished basement to the step-saving second floor laundry. Close to NJ Route 9, the location of these new homes for sale in Old Bridge, NJ brings it all together to create a lifestyle of exciting possibilities. Whether you choose to head "down the New Jersey Shore," take advantage of all that the New York City area has to offer, or simply enjoy the natural splendor of Woodhaven. Looking for new luxury Old Bridge, NJ townhomes for sale? 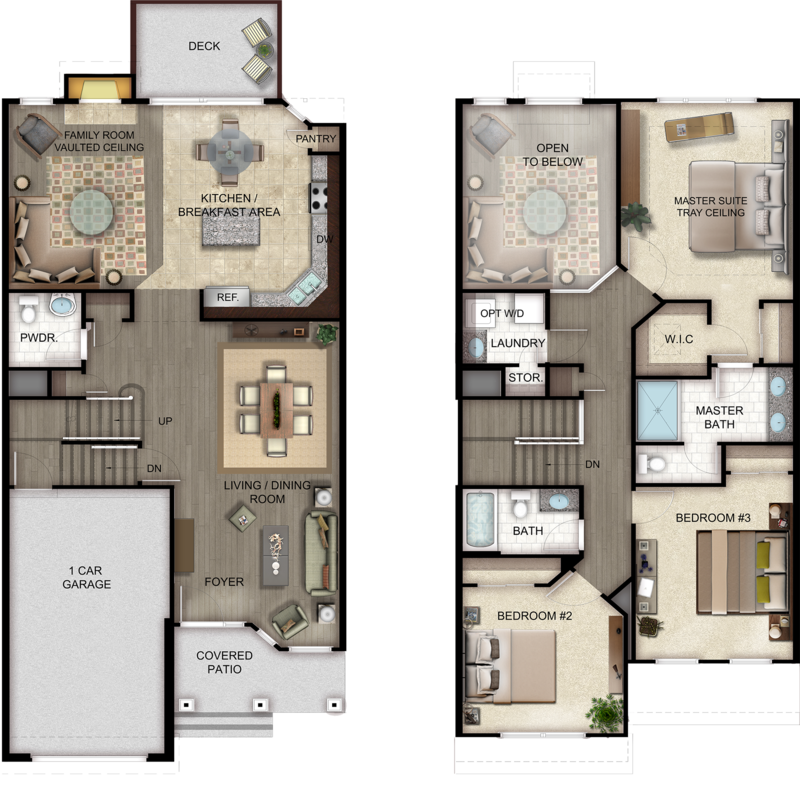 Schedule your tour of Barclay Brook Village today!